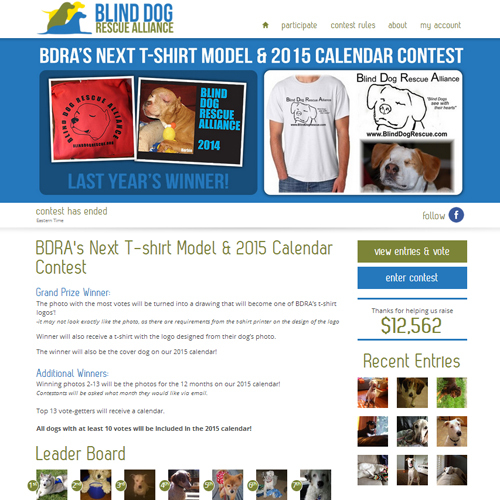 "We came upon GoGo Photo Contest in 2015 when searching for a new platform to run our annual Calendar Contest. What immediately stood out for us was the phenomenal customer service we received from our very first inquiry. Since then, and several contests later, they remain committed to helping us reach our goals and by year two, we doubled our original fundraising goal! Want to change something up or try something new? They’re promptly on it and always with cheerful, optimistic dispositions. We love working with this company! 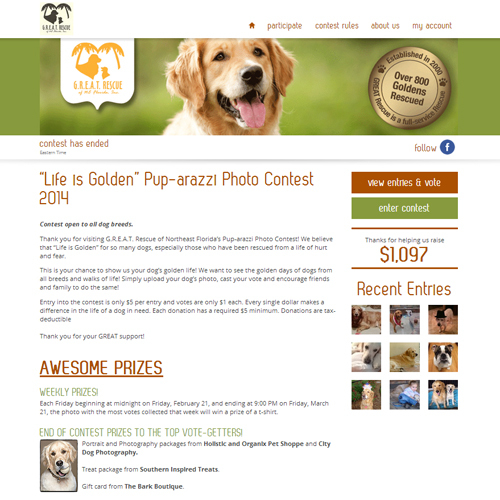 "GoGo Photo Contest has given a substantial boost to our national fundraising efforts. 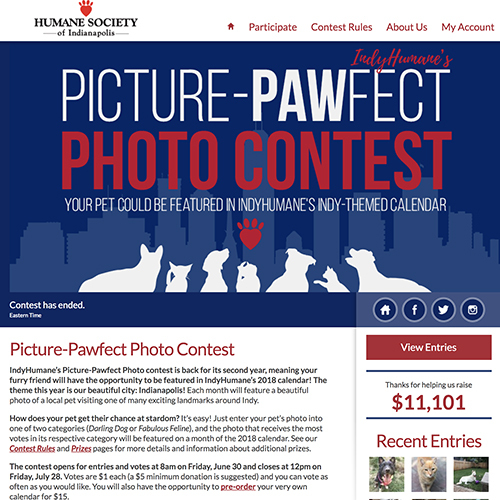 Our annual photo contest has produced new record results each year. I attribute this to GoGo's engaging layout and responsive code, which makes it easy for participants to stay up-to-date on the latest results. 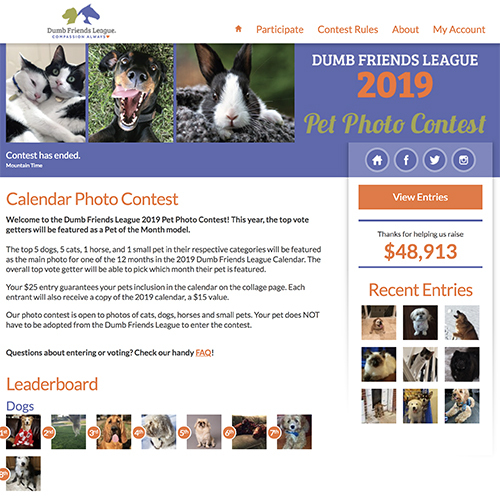 We'll definitely be using GoGo again this year, and I highly recommend them to any animal rescue organization contemplating a photo contest fundraiser." 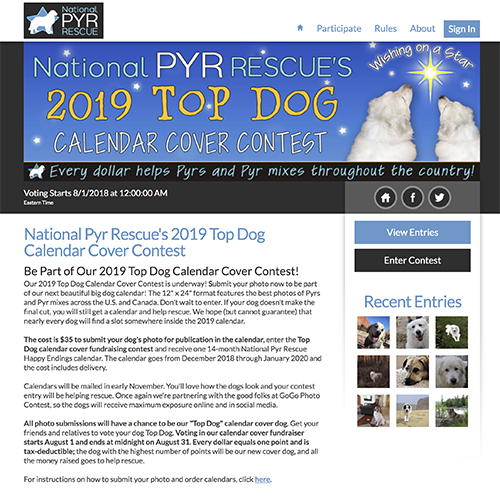 - Thomas Pletcher, IT Director and Co-Founder, National Great Pyrenees Rescue, Inc.
"The AWLA has used GoGoPhotoContest for our annual pet photo contest for four consecutive years. The platform is attractive, easy to use, and the GoGo team has always been courteous and responsive to any issues that arise. 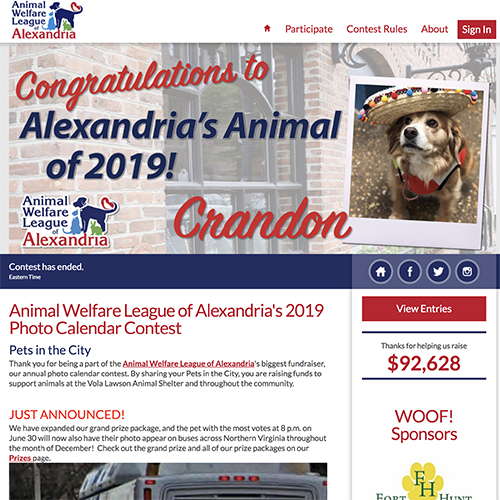 The pet photo contest is one of the AWLA's biggest fundraising events, and thanks to the improvements that GoGo has made with every upgrade, we continue to exceed our fundraising goals every year." "Thanks again for a great contest. 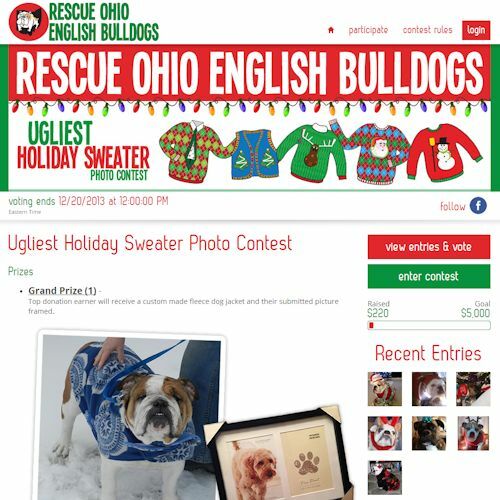 We've worked with GoGo Photo Contest since 2014 and have made the most ever this year…$25,000 is a record for us! I can’t say enough great things about the support we’ve received from Jason and Stevie since Gogo has been hosting our annual contests. They allow us to be as creative as we want and Gogo is a true partner throughout the process, being responsive to all our ideas and concerns. 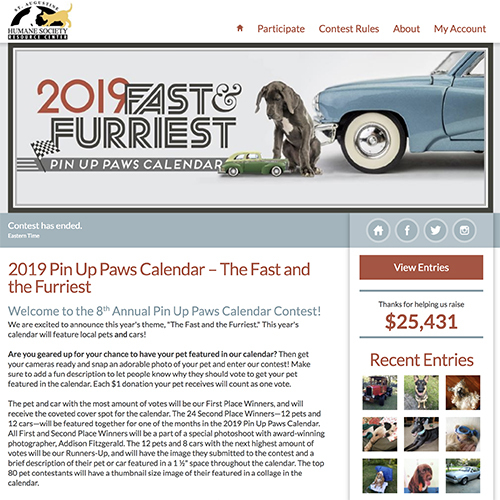 This fundraiser has become our signature event and we pair it with a yearend party where we do a grand reveal of our Pin Up Paws calendar. Our community loves it! 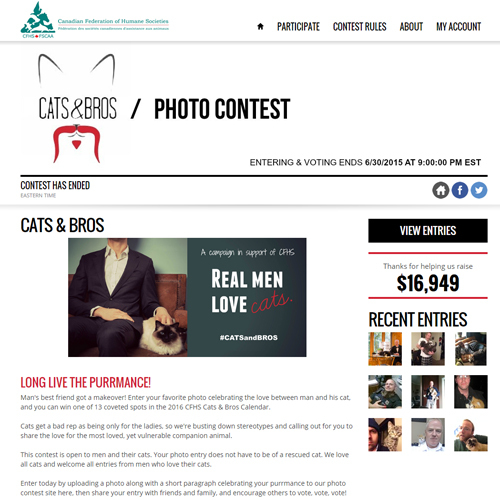 "We first started using gogophotocontest.com in 2015 when we were looking for a unique fundraiser in the summer. We weren't quite sure what to expect but it was well received by our supporters. 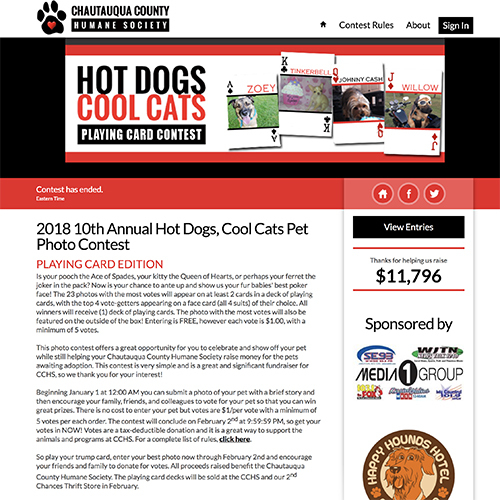 We have continued this fundraiser each year since then and most recently finished our fundraiser in 2018. 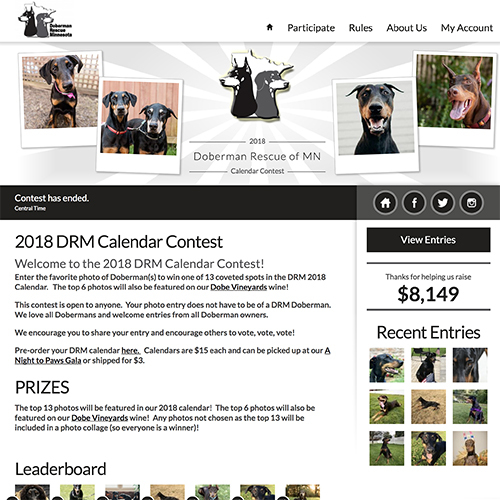 This was our most successful year in which we set a high goal of $40,000 (more than we have ever raised for this contest) and ended up raising over $59,000!!!! 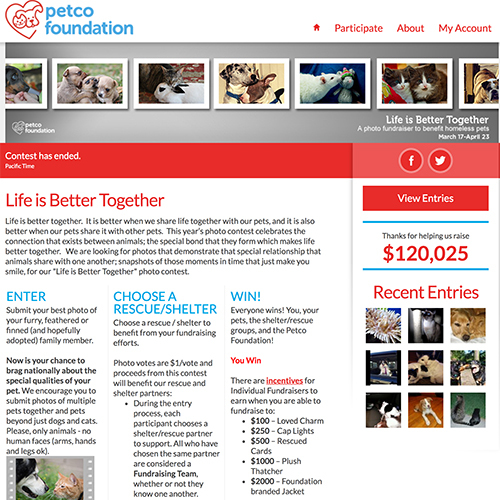 The program is very user friendly for both the donor and for us as the non-profit. 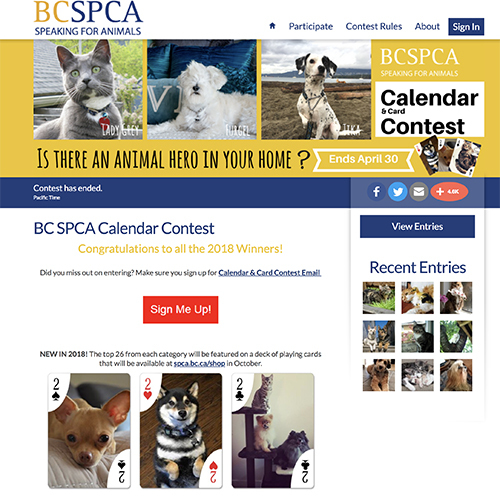 We use this fundraiser as a photo calendar contest and we cannot wait to continue it next year! 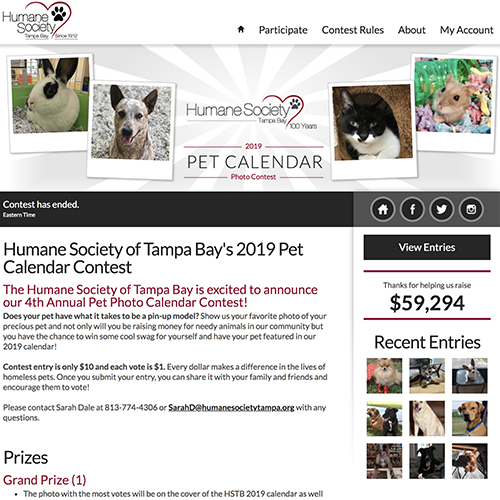 We’re thrilled to raise this additional money to help homeless animals in Tampa Bay." 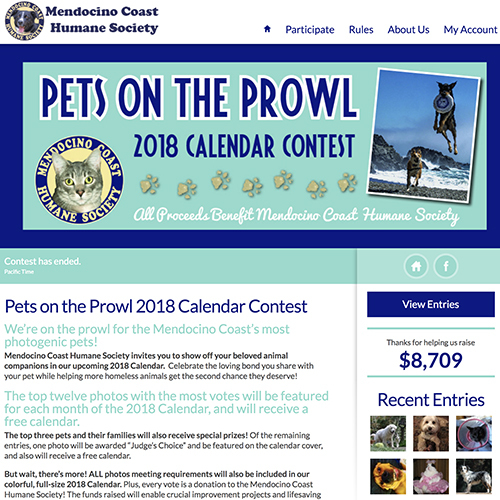 "Peninsula Humane Society & SPCA has been using Gogophoto contest for 2 years now, and we love it! 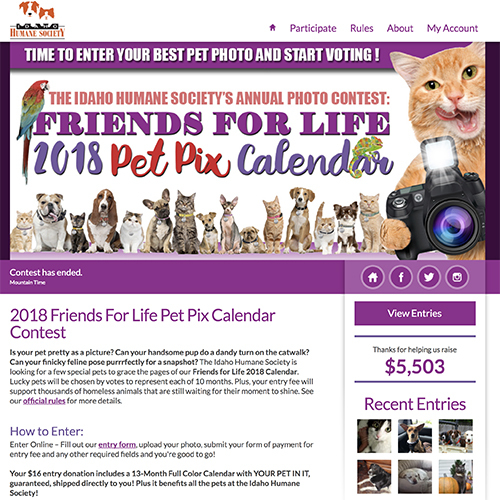 When I originally started our first contest, I set our fundraising goal at $5,000, quickly after we launched the contest our vote donations quickly surpassed this goal and we raised over $10,000 for our shelter animals. The best part is, its super easy to use and if you have any question the Gogo staff are always there to help you! Our donors love it too, because it’s a different and unique way to donate to our shelter and it makes donating fun and easy! 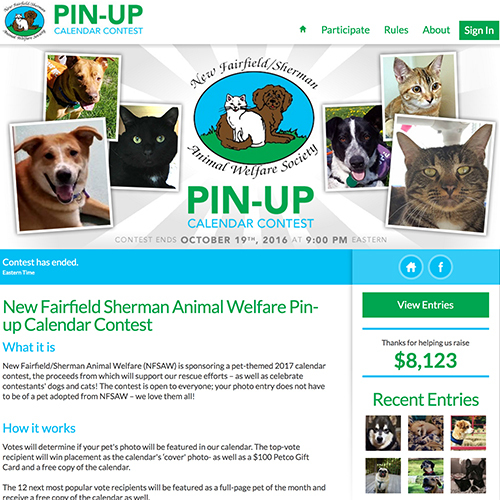 PHS/SPCA plans to use Gogo every year to host this contest!" 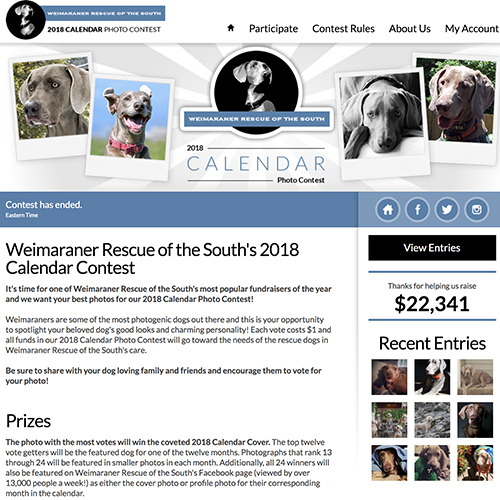 "We'd been running our calendar photo contest for a few years with some success, but collecting the photos, setting up local judging panels, staying organized and on top of it all was a growing annual headache. 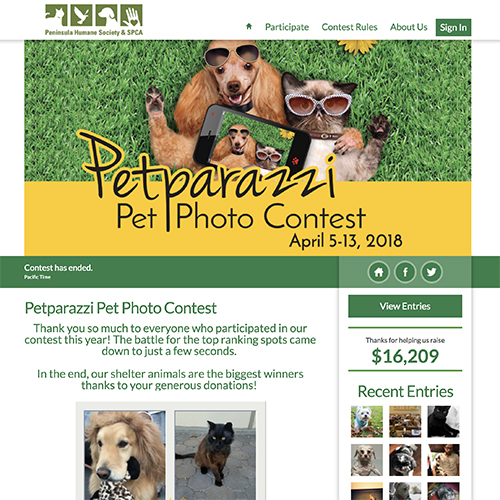 Once we discovered GoGo Photo Contest's service, it seemed a natural direction to go, and not just for the ease and organization, but for the engagement of the community on a larger scale. It was a great decision! 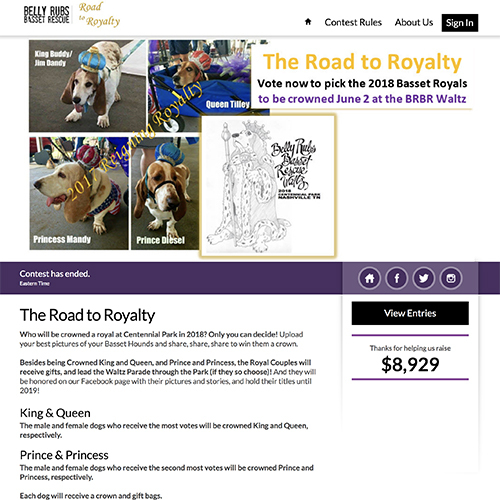 Between entries and votes, our end result is terrific ... Last year we set what we thought was a outrageous, out-of-reach goal, but we made it and then some. (Plus, a big shout out to Jason's customer service – always quick responses, great counseling and problem solving.)" 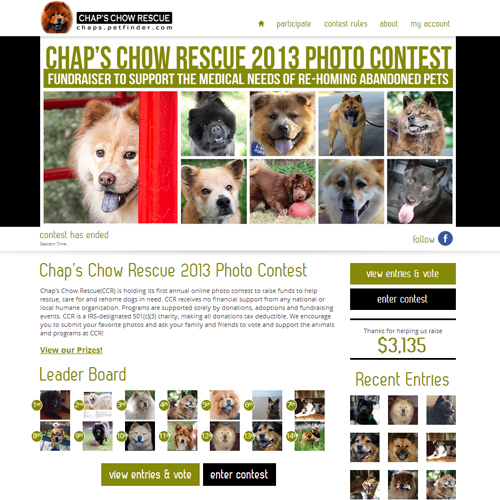 "As a 501c3 100% volunteer rescue, 75% of our funding comes from donations and fundraising. 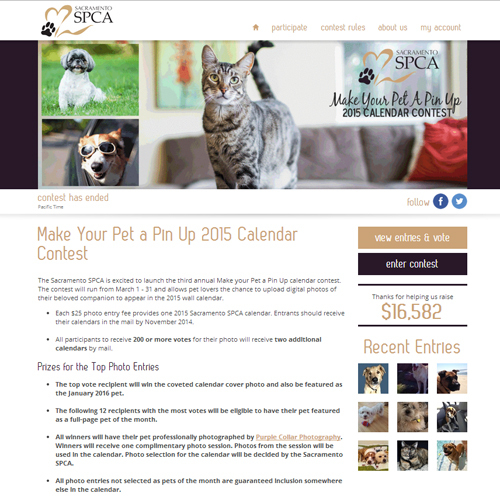 Our annual rescue calendar has evolved into one of our top annual fundraisers. 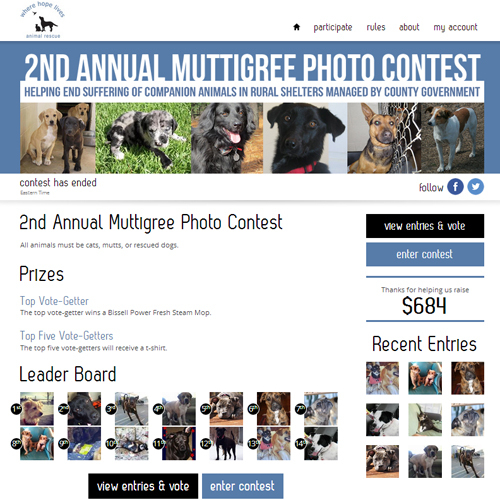 GOGOPHOTOCONTEST.com contests provide an easy and effective means to have our adopters submit their dog’s pictures and have the public “purchase” votes to vote their favorites into the top calendar spots for larger photos. 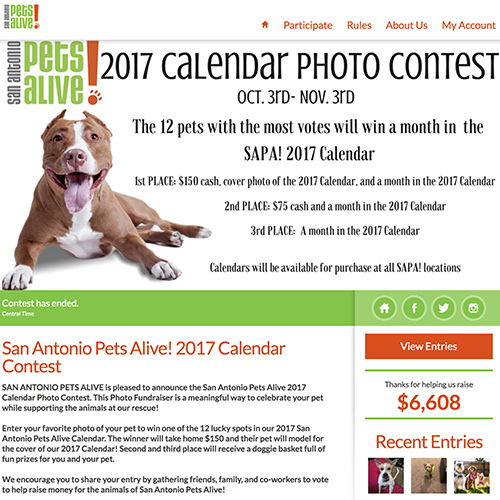 Every photo that gets submitted is included in our calendar. In addition to being a lot of fun, it’s heartwarming to see how our past dogs have thrived in their adopters’ care. 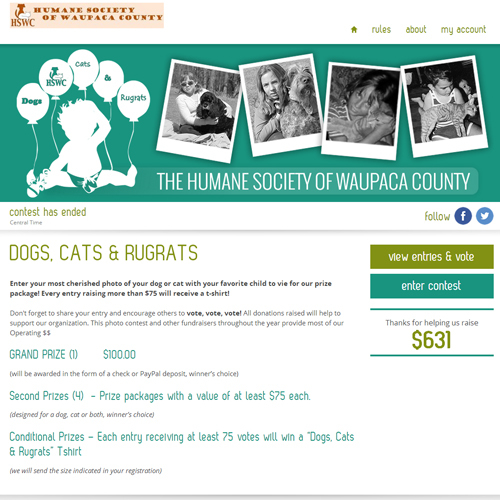 This is also a great way to stay connected with past adopters and receive continuing donations. 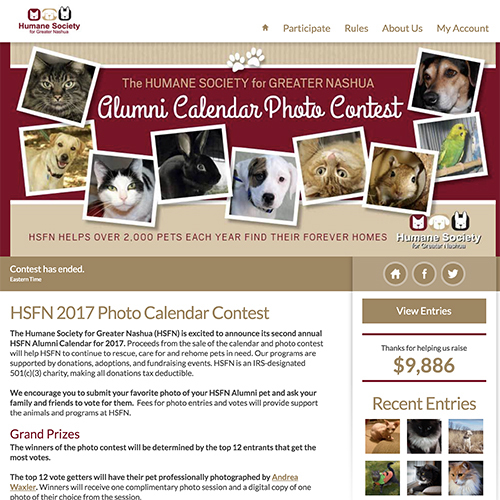 They look forward to each year’s calendar contest and having their baby among the many beautiful photos! 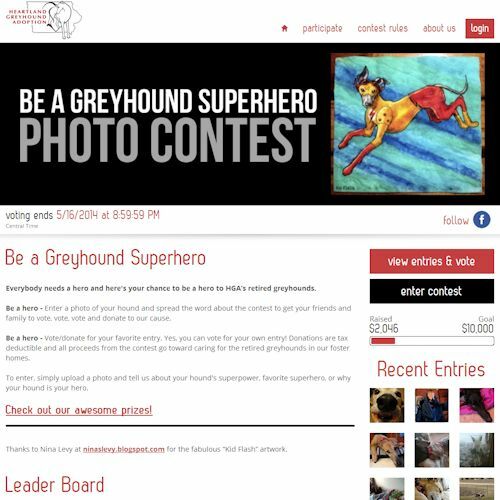 GOGOphotocontest.com makes running a photo contest easy! 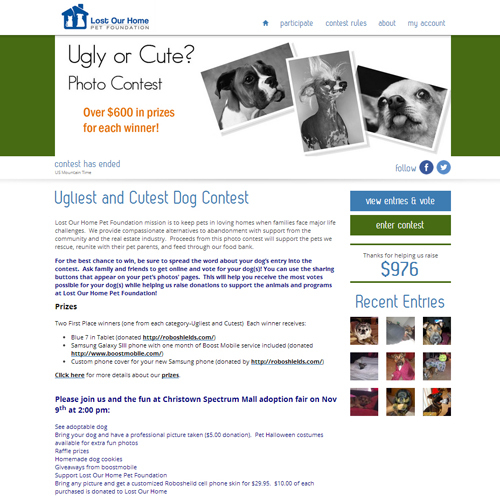 They provide detail forms for all information needed to create a professional and appealing contest site. The administrative reports are perfect for tracking activity and for financial reporting. Donations are sent right to our bank account of choice. Plus, GOGOphotocontest.com employees are awesome. 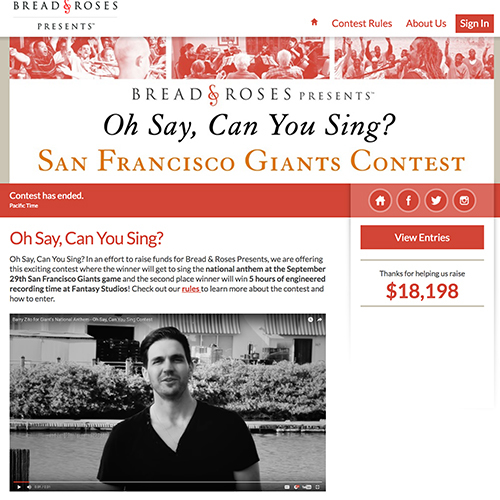 They respond quickly to questions and getting a contest up and running is extremely quick! 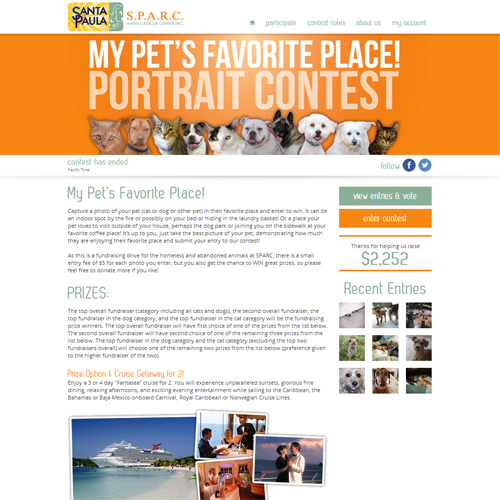 People love their pets – let’s face it - their family. 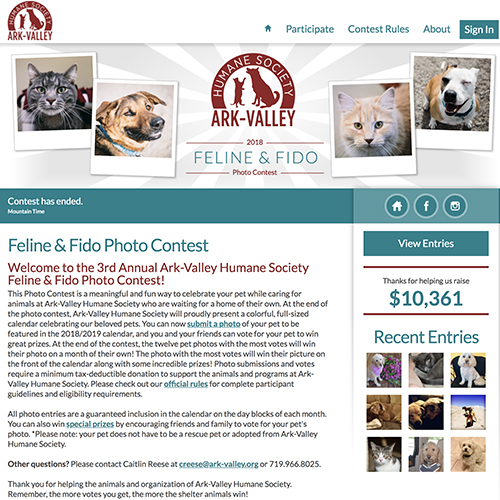 Our adopters look forward to our photo contest every year! We’ve raised our financial goal each year and have repeatedly exceeded our goal. This “event” gets bigger every year! 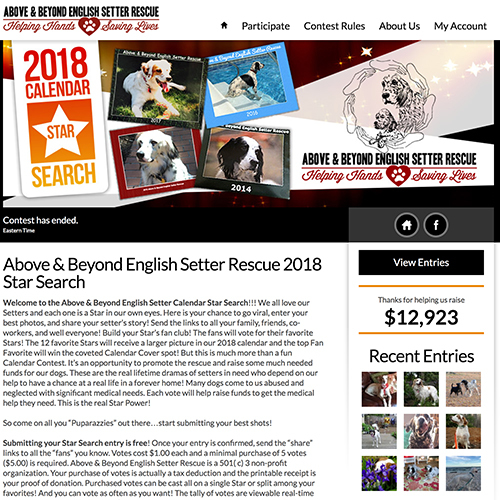 The 2017 Above & Beyond English Setter Rescue Calendar contest generated over $8,600! 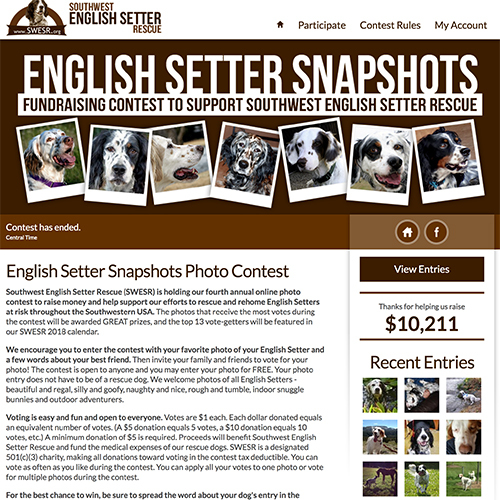 "GoGo Photo Contest makes setting up a great looking donate-to-vote fundraising page extremely simple. The GoGo team is very responsive and easy to work with and our supporters absolutely loved the concept. We were able to hit our fundraising goal and even exceeded it the following year. Thanks GoGo!" 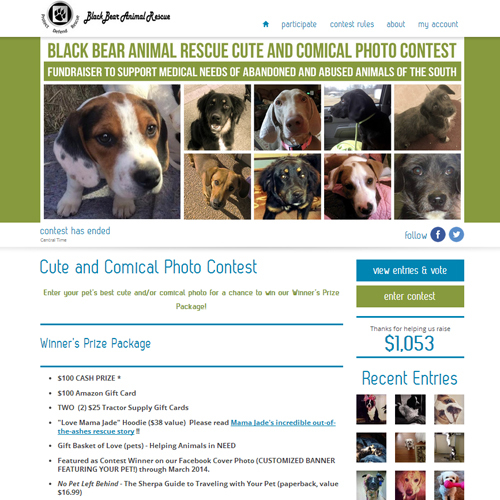 "We've worked with GoGo Photo Contest for five years and they've helped us raise $58,000. 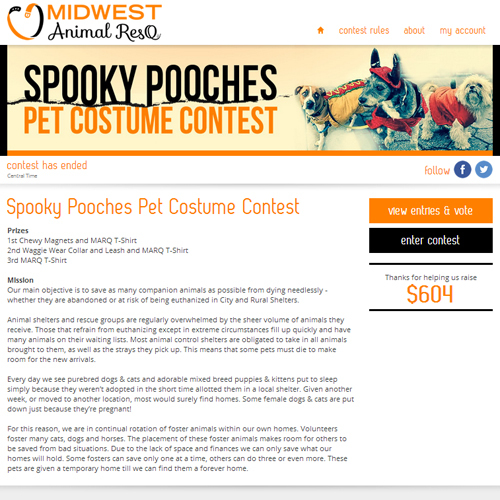 Before switching to GoGo we ran our contests ourselves, through our own site. When GoGo stepped in with a better site that was easier to use, proceeds from our vote-to-donate contests increased more than 50 percent. Stevie and Jason are always available to answer questions during the fundraiser or help us with with anything that arises. 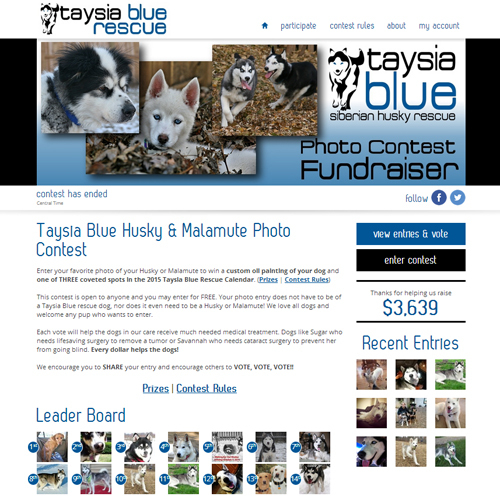 We wouldn't go anywhere else for our custom fund-raising contests." 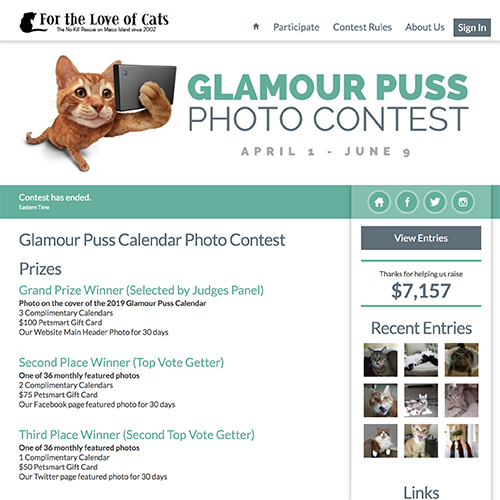 "Before our non-profit animal rescue organization discovered GoGo, our annual Glamour Puss Photo Contest was a massive undertaking that took lots of time and effort to run smoothly. 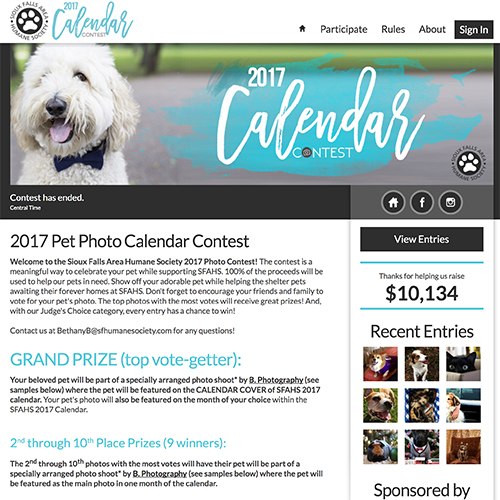 This year's contest marks our third year of using GoGo and we could not be happier with the results! The set-up process is very simple and GoGo's support is always quick to respond to any questions we have. Each contest has run perfectly from beginning to end with no hiccups. We feel very confident recommending their service. Thanks GoGo!" 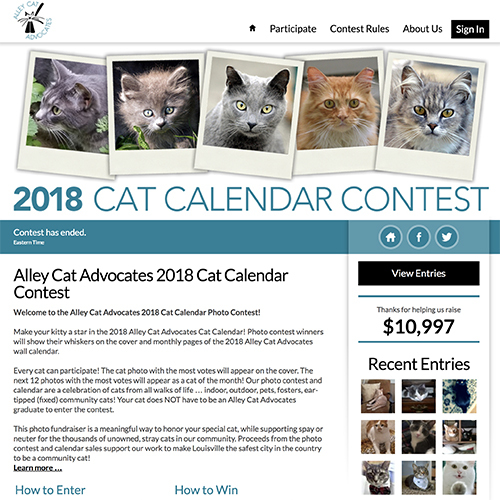 "Alley Cat Advocates use GoGo Photo Contest last year to select photos for our annual cat calendar. The GoGo team supported us every step of the way. 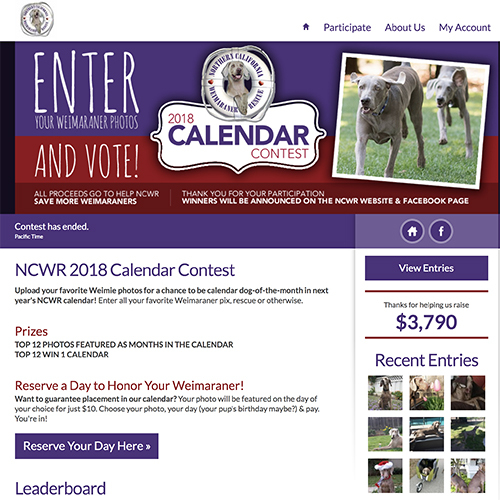 We love the system and will definitely use this for our fundraiser this year. Thanks GoGo Team! - Peyton Taylor, G.R.E.A.T. 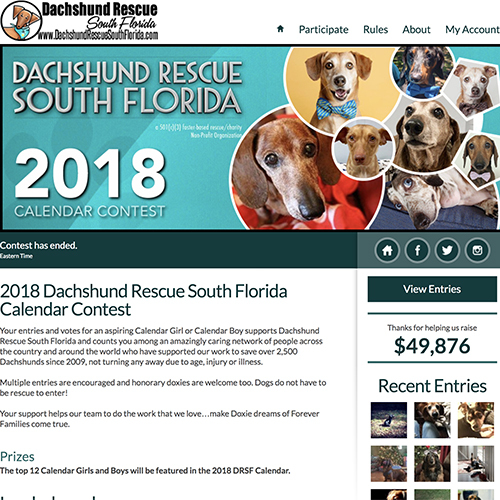 Rescue of NE FL, Inc.
- Jackie Roach, President - Taysia Blue Rescue, Inc.
"We have tried a few calendar contest platforms in the past and we always ended up frustrated. When we found GoGo Photo Contest, we were amazed at how easy the team was to work with, how quickly our site was set up, and the ease of use for our contest supporters. 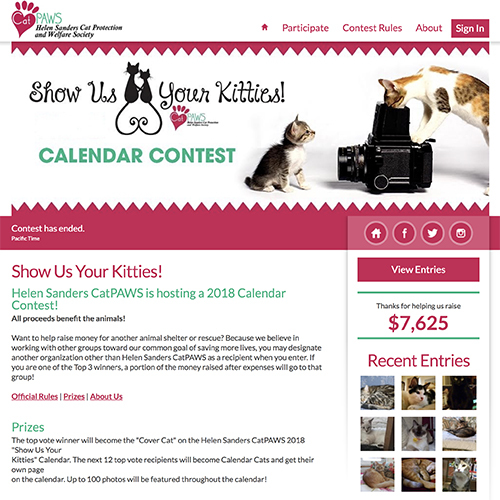 Though the fees were higher than previous contests, we still had our biggest calendar fundraiser to date! 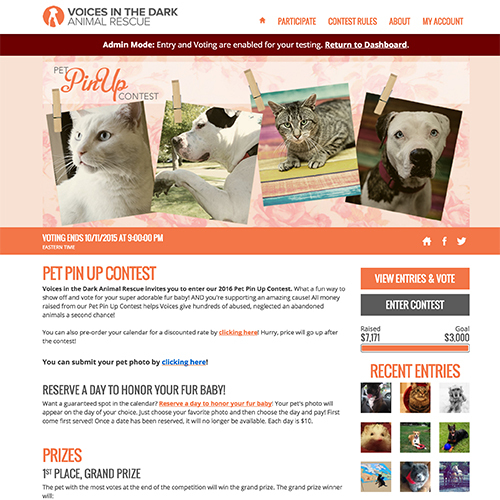 We cannot wait to see what our next contest brings in." 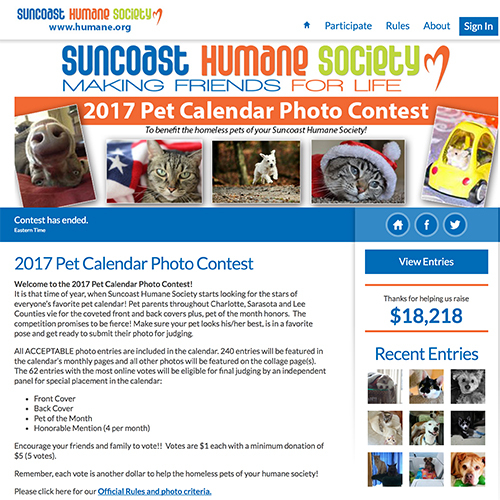 "We have run a couple calendar photo contests for our cat rescue group through GoGo and have found them to be easy and pleasant to work with. They have consistently provided support and guidance and answered our questions promptly. 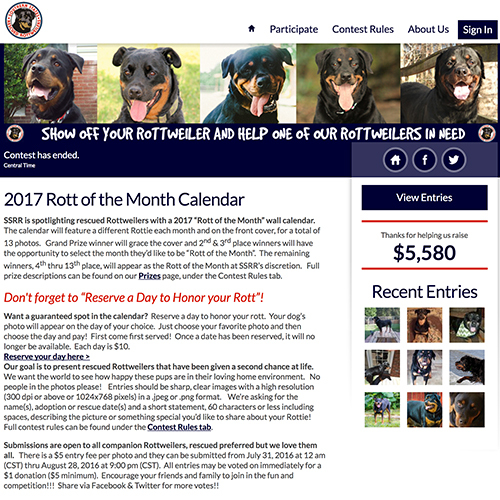 Our calendar contests have been a financial success and we hope to continue to partner with GoGo in making this fundraiser an annual event."